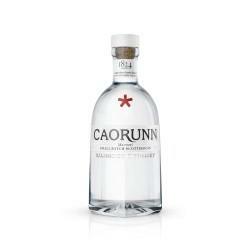 A dry gin that, since its creation in 1769, has become one of the bestselling spirits in the world. 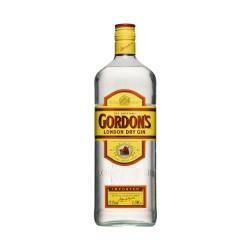 And, the Gordon's Gin recipe hasn't changed once since then! 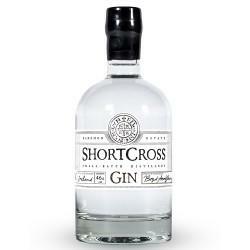 Triple-distilled and flavoured with juniper berries, coriander and angelica. In 1862, Don Facundo Bacardí Massó set out to create a rum like no other. He spent the next decade perfecting blends that he was proud to serve to the people of Cuba and he never settled, always looking for ways to improve his product. 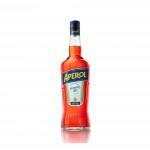 Bacardi Superior Rum’s perfect balance of subtle and delicate flavours means that it doesn’t dominate like gin or disappear like vodka. It is ideal for mixing classic cocktails like mojitos as well as exciting modern drinks. One of the creamiest vodkas that you'll probably ever taste in your life. 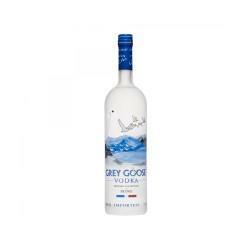 Grey Goose vodka is one of the original super-premium vodkas from France. It is perfect straight up, right out of the freezer, or mixed in with a favourite cocktail. 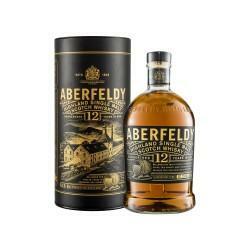 Aged 12 years in oak barrels, the Aberfeldy Scotch Whisky unveils a dazzling gold dress and reveals an intense nose with aromas of pineapple, heather honey and roasted grain. It offers a structured tasting mouth, soft and round moving on a generous final note of bitter orange sprinkled spices. Developed in the Highlands, this 12 year old is woody, spicy and fruity. ORIGIN Introduced in 2000. The first to make the bold step of bottling the Ardbeg range all non chill-filtered. RATINGS “World Whisky of the Year” 2008. Jim Murray, author of the Whisky Bible, encouraged readers to “just close your eyes and enjoy”. Awarded 97/100 in Jim Murray’s Whisky Bible. MATURATION Matured in a balance of 1st fill and 2nd fill ex-Bourbon American Oak casks delivery vanilla sweetness and spiciness respectively. Non chill-filtered and bottled at 46% ABV. PALATE The peatiest and smokiest of all the Islay malts, yet perfectly balanced. ORIGIN Takes its name form the peat-laden waters of Loch Uigeadail, the water source for the distillery in the hills far above it. Uigeadail means “dark, mysterious place” in Gaelic. 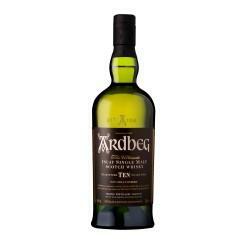 RATINGS The most awarded Ardbeg including winning World Whisky of the Year 2009 Described by Jim Murray, author of the Whisky Bible, as “quite simple: perfect”. Awarded 97.5/100 (the highest score in the Whisky Bible) in 2015. 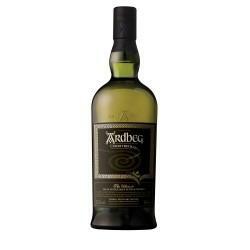 MATURATION An intriguing marriage of Ardbeg matured in ex-Bourbon and ex-Oloroso sherry casks - a special vatting that marries Ardbeg’s traditional deep, smoky notes with luscious, raisiny tones of old ex-Sherry casks. 54.2% ABV non chill-filtered at high strength, which retains maximum flavour and gives more body and added depth. PALATE Christmas cake by a smoky coal fire; rich, oily and mouth-coating. ORIGIN Launched in 2009, Corryvreckan takes its name from the famous whirlpool that lies to the north of Islay, where only the bravest souls dare to venture. RATINGS World’s Best Single Malt 2009. Described by Jim Murray, author of the Whisky Bible, as “I doubt if even the feared whirlpool is this deep and perplexing”. Awarded 96.5/100 in 2015. 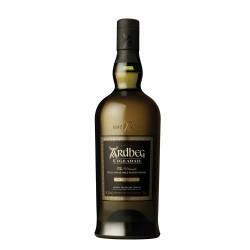 MATURATION Ardbeg matured in new French Oak, then wrapped in traditional Ardbeg matured in ex-Bourbon casks. 57.1% ABV non chill-filtered at high strength, which retains maximum flavour and gives more body and added depth. PALATE Deep, peppery swirling aromas of crispy seaweed and torrents of espresso coffee and dark chocolate lurk beneath the surface. 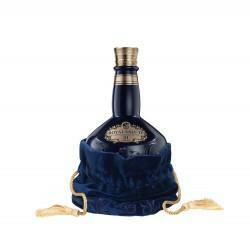 Royal Salute was created in 1953 to mark the coronation of Queen Elizabeth II. An exquisite blend of exceptional whiskies, it has celebrated noble leadership in all walks of life since. 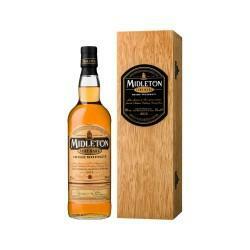 Created in 1984, and released annualy since then this renowned whiskey is a bottling of hand selected whiskeys from the Midleton Distillery and represents some of the finest distillates produced at this famous location.